MacArthur President Julia Stasch reflects on Chicago nonprofit organizations that are working to improve the quality of life and prospects for residents and make our hometown a city where opportunity is equitable, and justice can thrive. Chicago teens identify issues that affect them—from policing to politics, health to housing—and develop policy recommendations for local government officials. A journalism production company combines elements of investigative reporting, multimedia storytelling, and citizen activism to help drive Chicago's police reform. Eight agencies come together to strengthen and sustain the economic security of single, working women with children in Englewood. Our areas of focus were designed with the priorities of Chicagoans in mind—taking heed of what residents and leaders believe are the most urgent concerns and most promising solutions. In 2017, MacArthur supported these and many of the hundreds of other local nonprofit organizations that are working to improve the quality of life and the prospects for residents, develop human potential and amplify collective voices, and make our hometown a city where opportunity is equitable, and justice can thrive. Our direct awards in 2017—121 grants and impact investments totaling $40.2 million*—document our commitment to strengthen Chicago nonprofits, contribute to civic partnerships, invest in vital communities, and advance diverse, influential leaders. These awards reflect advice to us from conversations with individuals, organizations, and civic leaders across the city and suburbs, sharing a wide array of experience and expertise on local issues. Our areas of focus were designed with the priorities of Chicagoans in mind—taking heed of what residents and leaders believe are the most urgent concerns and most promising solutions. Women veterans interact with various vendors during the Chicago Foundation for Women's Englewood Women's Inititiative veterans recruitment event. Community Capital grants provided institutional support to a wide array of organizations, helping them strengthen, innovate and grow. Ten initial recipients range from Little Black Pearl Workshop and its innovative youth programs in Bronzeville to The Resurrection Project, working to improve quality of life in Pilsen, Little Village, and Back of the Yards; from Chicago Foundation For Women to Cabrini Green Legal Aid and its services to individuals in contact with the justice system; and from the Mikva Challenge, with its support for youth as active participants in the political process, to the Sweet Water Foundation, which practices regenerative neighborhood development. Benefit Chicago, our collaboration with the Chicago Community Trust and Calvert Impact Capital, that aims to mobilize $100 million in impact investments to help nonprofits and social enterprises expand and grow, made its first round of loans in 2017. Initial investments include $12 million in loans to six organizations to train and employ adults with autism, support retail development in Pullman and along the 63rd Street Corridor, provide North Lawndale residents with training and transitional jobs, expand the operations of a vertical hydroponic produce company, and build projects that support youth and families in underserved Chicago neighborhoods. MacArthur is often an active participant in local partnerships through which civic leaders and organizations work on critical or timely challenges or opportunities. We helped bring together more than 30 funders to create the Partnership for Safe and Peaceful Communities, whose members support proven and promising approaches to reducing gun violence. The Partnership is focused on making supportive services available to individuals affected by violence, promoting police reform, increasing police legitimacy and accountability, strengthening gun laws, and making resources available to local—even block-level—organizations helping to crowd out violence and enhance community cohesion and create the conditions that reduce violence. We hope that these coordinated efforts help make our neighborhoods safer. 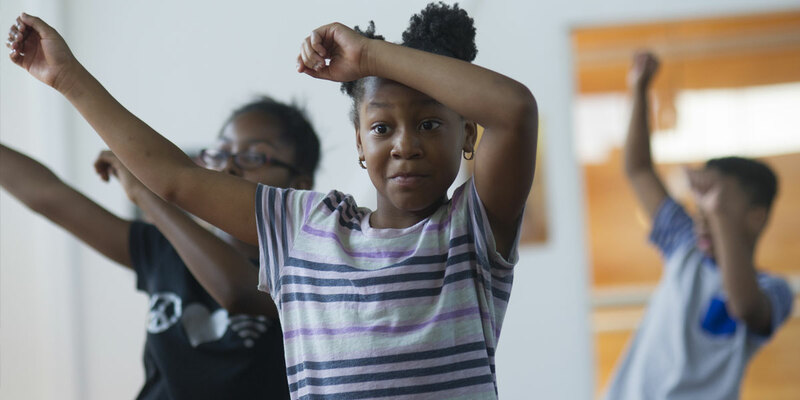 Students in the Little Black Pearl's after school program – Creativity Camp – rehearse a routine in a hip-hop dance class. We support the Reclaiming Southwest Chicago Campaign, which seeks to significantly scale the rehabilitation of vacant homes, while improving school performance and public safety. MacArthur has supported neighborhood revitalization in Chicago for four decades. During that time, we found that, when local partners work together, there are better outcomes for people and communities. One example is the Greater Auburn Gresham Development Corporation, which promotes the revitalization of Auburn Gresham, Chatham, Englewood, and Greater Grand Crossing, using comprehensive community development strategies to make these communities destinations of choice for visitors, business owners, and residents. Our funds support the group's plans to revitalize the 79th Street business corridor and to test new models to attract business and investment. 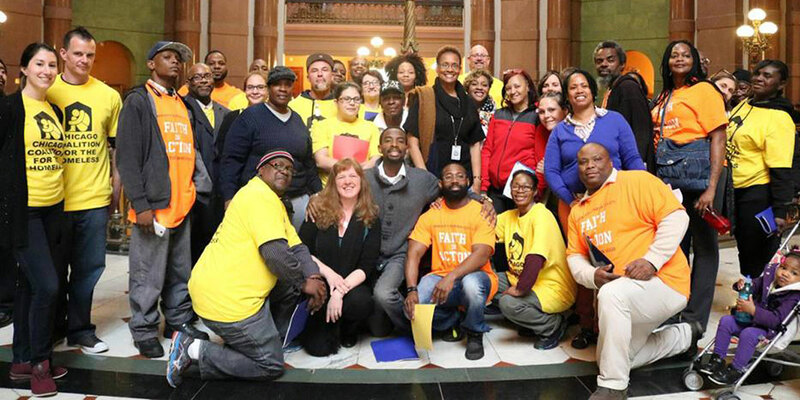 The Southwest Organizing Project is a broad-based coalition of 37 churches, mosques, schools, businesses, and other organizations that work to end predatory lending and foreclosures, reduce violence, and create jobs. We support the Reclaiming Southwest Chicago Campaign, which seeks to significantly scale the rehabilitation of vacant homes, while improving school performance and public safety. The recognized civic leadership of Chicago does not always represent the rich diversity of the city. 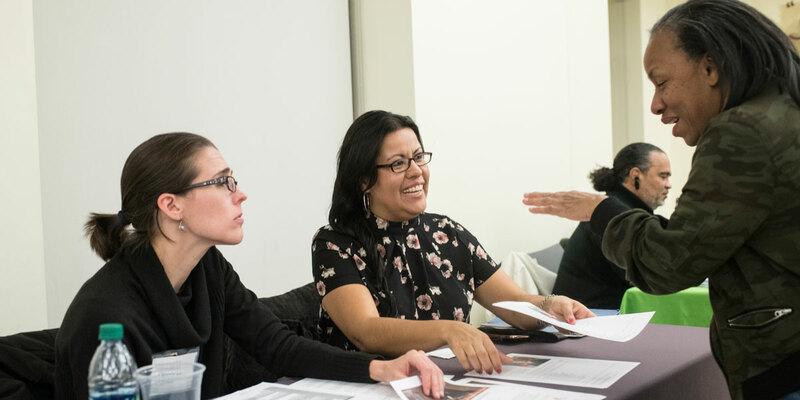 We want to help enhance and expand leadership opportunities for individuals who are leaders in their communities, professional fields, or sectors but are not heard in public conversation and who do not participate in decisions that shape our city. Our goal is to promote and advance leaders—taking into account all forms of diversity, from race to religion, ethnicity to expertise—whose influence and insights will inform and improve problem-solving and decision-making across the city. Initial grants provide resources for existing leadership programs that reflect, serve, and amplify the voices of leaders. Awards supporting Cultivate: Women of Color Leadership; ADA 25 Advancing Leadership; and Asian Americans Advancing Justice allow programs to engage their alumni, build "civic matchmaking" platforms to pair emerging leaders with opportunities to serve on boards, and develop cross-generational leadership among immigrants and refugees. Members of Cabrini Green Legal Aid and other organizations seek to remove lifetime barriers to employment for people with criminal records. Our commitment to Chicago's creative sector is designed to provide organizations the flexibility to innovate and experiment as they create ways to inspire, entertain, provoke, challenge, engage, and transport audiences. Directly and through our partners, the Richard H. Driehaus Foundation and Prince Charitable Trusts, we continue to provide crucial support to more than 300 local arts and culture organizations—as they create meaningful performances, exhibits, and experiences, and help individuals explore their passions, develop their identity, confront challenging topics, and connect with each other. We recently renewed our partnerships with an investment of $24.3 million over five years. The MacArthur Funds for Arts and Culture at Prince and Driehaus award general operating support grants to a broadly diverse group of small and medium-sized cultural institutions, including theaters, dance companies, music organizations, film and media groups, museums, and more across the city. We also increased our funding to Cook County, enabling its continued participation in the Safety and Justice Challenge, our national criminal justice reform effort to reduce the overuse and misuse of jails. Over our 40-year history, MacArthur has invested $1.3 billion in over 1,500 organizations and individuals across the Chicago region—more than any other place in the world. We know we cannot address all of the issues we and other Chicagoans care about. We hope many of those who provided us with advice and insights as we developed our strategy will see their influence in our approach. We remain committed to being more open, taking more risks, being strategic and responsive, and supporting the talents and ambitions of others—around the world and here in Chicago. * Does not include impact investments made in 2017 by intermediaries with funds provided by MacArthur in 2017 or in prior years.